On “Canceled Too Soon,” William Bibbiani and I examine the long and varied history of TV failures, pursuing and examining TV shows that lasted one season or less. The joyous and endless task of dissecting TV's forgotten failures has, however, left me little time to examine many of the newer, more popular shows out there in the world, and I have remained blissfully in the dark about anything that is even remotely within the public eye; if you can identify it, it's likely I haven't seen it. As such, when asked to comment on the popular NBC horror series “Hannibal,” I had to exit my bubble and start from scratch. 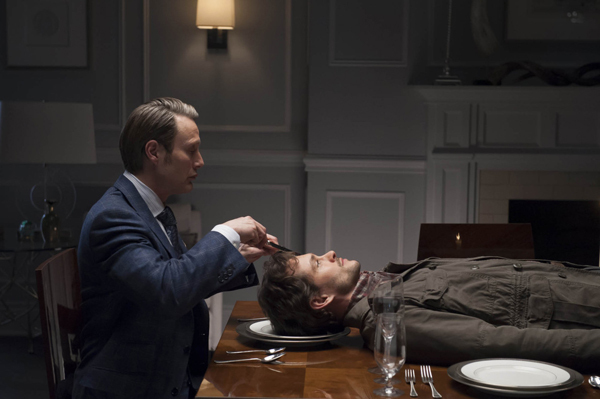 “Hannibal,” created by Bryan Fuller and based on the Hannibal Lecter novels by Thomas Harris, ran for three seasons between April 4, 2013 and August 29, 2015. 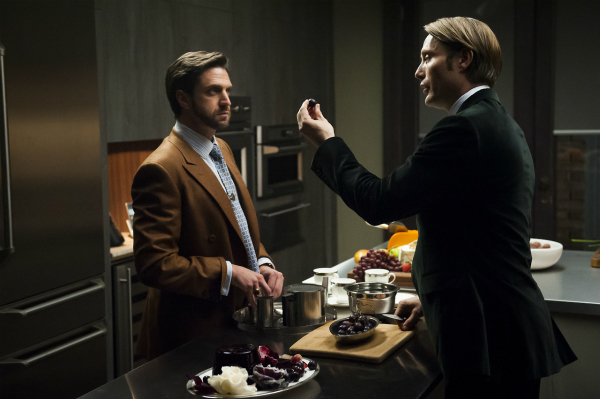 There is talk of reviving the series, but as of this writing, “Hannibal” is canceled. This may be the final word on Dr. Hannibal Lecter. The character of Dr. Lecter – the psychiatrist/cannibal serial killer/effete aesthete – has appeared in four novels, five feature films, and now this series, and I think the world may finally be done with him. While he is an appealing figure – it's easy to be drawn in by Dr. Lecter's fierce intelligence, his inability to suffer fools, his slavish devotion to high-end propriety – it seems that, with “Hannibal,” we've explored everything we need to about Dr. Lecter. 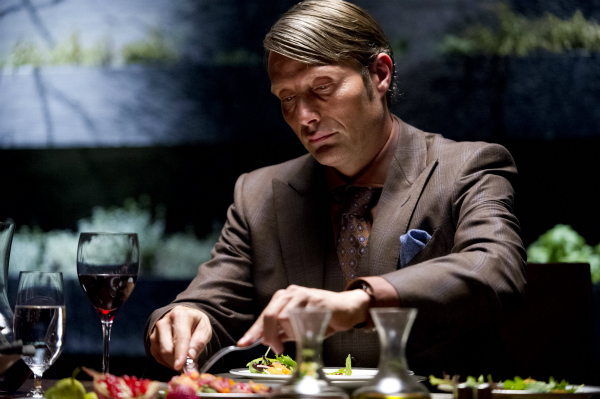 As portrayed by Mads Mikkelsen, Dr. Lecter was seen out in the world, framing others for his crimes, examining his own inner darkness with his own shrink (Gillian Anderson), and exploring the culinary possibilities of – ulp – the human body. In films, we saw him incarcerated, still able to manipulate people. The only facet of Dr. Lecter we have yet to examine is his retirement; what makes a serial killer give up on his hobby? 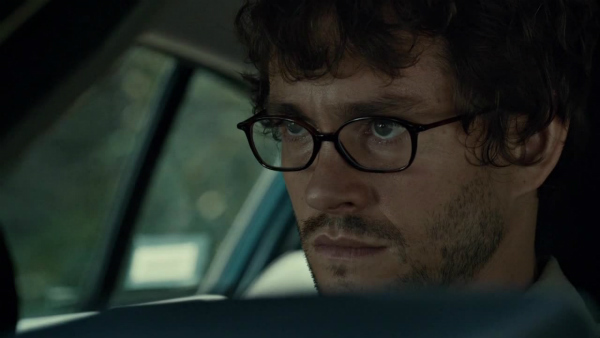 Secondly: I do not like Hugh Dancy's version of FBI super-agent Will Graham. In “Manhunter,” Will Graham was played by William Petersen as an increasingly unhinged FBI grump who only became more and more determined as time passed. In “Red Dragon,” Will Graham was played by Ed Norton and seemed more like a run-of-the-mill cop with particularly good observational skills. In the “Hannibal” TV series, Graham is portrayed as an insane man with X-Men powers. I understand that the series was trying to find an interesting way to visualize Graham's intuition, but the way it was depicted (with a glowing pendulum, swinging across the screen, bringing Will back in time to the time of the murder in question) implied that Graham had some sort of psychic superpower. He seemed to intuit things that he couldn't possibly have seen or known. As the series progressed, and Will became more and more obsessed, he began to read as a whiny college kid burned out on philosophy textbooks. There was also an additional conceit that I feel I have seen in serial killer dramas in the past: In Bryan Fuller's vision of the Harris-verse, serial killers are not only staggeringly common (every fifth human being seems to be a murderer), but they are all snotty art students who insist on making high-quality artisanal objet d'art out of human corpses. Sculptures, high-end meals, pieces of clothing, etc. I'm surprised no one made a powerful dark cold brew coffee out of human blood or brewed bodies into IPA. What's more, these murdering hobbyists all seem to be able to recognize one another in public. When Hannibal Lecter runs into a fellow serial murderer at a party, they share a brief and intense glance, implying that they instantly are cognizant of their shared proclivities. I haven't met any serial killers (so far as I know), but I imagine this mystical kinship with other aesthetic killers is not something that is actually shared. The most notable tonal construct to emerge from the first season of “Hannibal,” however, seems to have been its direct similarities to the philosophies of David Cronenberg. Cronenberg is often associated with the phrase “body horror” by critics, and he frequently explores, in his films and writing, themes of bodily degradation. He has written very directly about disease on more than one occasion, most notably in Consumed, his 2014 novel about the path an incredibly rare sexually transmitted infection that runs through – literally and metaphorically – a small group of bitter lovers, murderers, doctors, and cannibals. Cronenberg has always been interested in the way disease – both mental and physical – can overwhelm an individual. This is seen in “The Fly,” it's seen in “Dead Ringers,” it's seen in “Spider,” it's even seen in the underrated “Cosmopolis.” In Cronenberg's world, as one becomes sicker, one loses their own identity. As you waste away, you essentially become the disease. This philosophy was no doubt inspired by Cronenberg's own painful experiences dealing with loved ones who became ill, and I imagine it's something shared by anyone who has ever cared for a very sick family member. 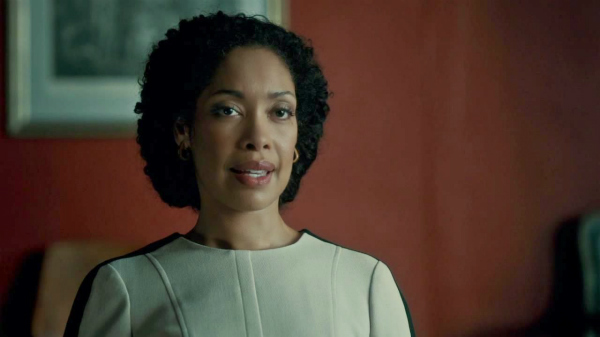 In the fifth episode of “Hannibal,” it's revealed that Jack Crawford's wife Phyllis, a.k.a. Bella (Gina Torres), has been secretly struggling with lung cancer and hasn't told anyone that she may not have very long to live. In her eye, she would rather live out the end of her life with clarity and dignity than stretch it out a few more weeks in painful and costly treatments; she is convinced her case is terminal. In terms of plot, this storyline doesn't really pay off in any sort of meaningful way, and only serves to add to Jack's character. But the introduction of Bella's disease also introduces the above Cronenbergian themes. 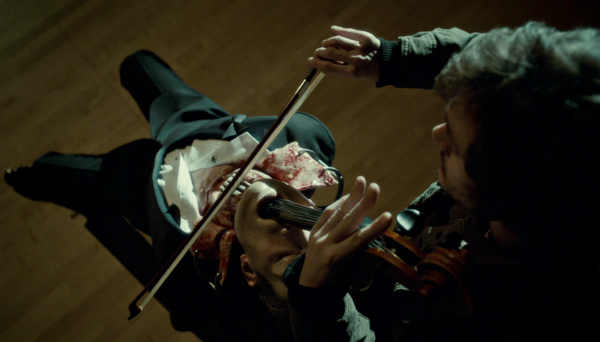 “Hannibal,” we can now see with the utmost clarity, is not so much about murder as it is about disease. The urge to kill is a sickness in the brain, and that sickness is always poised to take over the minds of the infected. In the case of Will Graham, his mental sickness ends up being a neurological disorder, and he begins to assume that his time intuiting serial killers has essentially turned him into one. One of the central themes of Cronenberg's 1983 classic “Videodrome” is that Max, the film's lead character, is particularly susceptible to a brainwashing TV signal because his mind was already open to violence and to disturbing imagery (the very same imagery he would himself broadcast on his own pirated TV signals). His own openness to death and to evil, for lack of a better term, is what welcomed the mental disease. The same is true of Will Graham. His ability to stare into the abyss invited the abyss stare back. And then take him. This is, of course, a theme that goes back to Dracula. You cannot be harmed by evil unless you invite it into your home. The three sources explore the same themes of susceptibility using different unique angles. In Dracula, it was based on Judeo-Christian philosophy, in “Videodrome,” it was based in technology, and in “Hannibal,” it was based in pathology. On the surface, the Harris-verse is all about obsession. There are several Valjean/Javert relationships throughout the films (although I admit I haven't seen “Hannibal Rising”), and the serial killers are depicted as being slaves to their passions, unable to resist their obsessions with death and consumption. 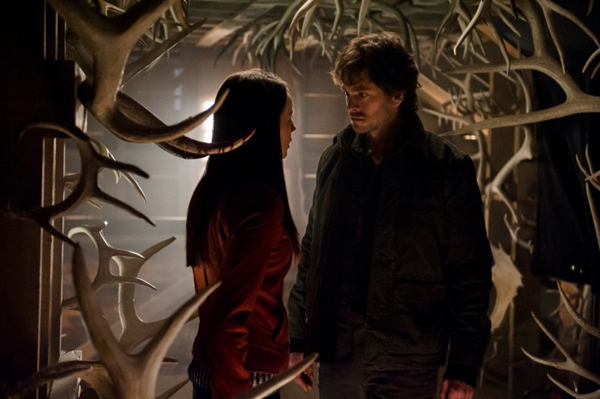 The “Hannibal” TV series certainly depicts that obsession well, but I sensed a perfunctory element to these themes. As if the teleplay writers had to repeat a word or phrase often (in this case “you're obsessed”) to keep them on track. A moment's thought reveals that mental degradation, rot, disease, necrosis are more powerful themes. I may one day be moved to watch seasons 2 and 3 of “Hannibal,” but for now, I will leave my findings here. My own exploration of a pop property that has its own Wiki fan page will, I know, seem ignorant to many. I'm also somewhat convinced that my own little cognitive wheel-spinning has already been explored and debunked by fans who lived more deeply in this series than I. I simply hope my scratchings can provide some insight. Interesting perspective. I've always found this show to be difficult to get into even though I love the movies and books...okay maybe just the movies. With the exception of two of the books they're not that good.